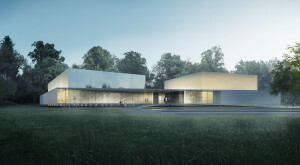 The University of Applied Sciences of Bochum, recognized by the House of Architects of NRW, invites Dominique Coulon as part of a series of conferences on architecture. The conference series is supported by the BDA (Bund Deutscher Architekten), the Gruppe Bochum and BDB (Bund Deutscher Baumeister, Architekten + Ingenieure e. V.), Bezirksgruppe Bochum. The inauguration of the Halles du Scilt took place on November 9, 2017 with Jean-Marie Kutner, Mayor of the city of Schiltigheim and Vice President of Strasbourg Eurométropole. 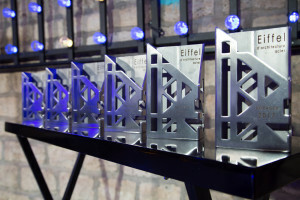 The multimedia library (3rd place) in Thionville of the office Dominique Coulon & associés , won the Eiffel Steel Architecture Trophy 2017 in the Entertaining category. "The trinational exhibition organized by the European House of Architecture - Upper Rhine is set to become an essential event of the Journées de l'architecture. natural to put the architecture of our three countries in perspective in our cities.The architecture comes to you to make you want to go to it, to browse and live.In 9 cities, representative boards of the rich and varied architectural production of our Rhine region settle in the street." During the days of architecture, the City and Eurometropole of Strasbourg organizes, Monday, October 21 at 11am, a visit of the Sports Center for Human Rights in Strasbourg with the Dominique Coulon's and associates.